Recent decade is showing the pride of the smart watches, yet many smart watches reached the market and compatible with Android, Tizen and more, but the Android wears are more popular because most of the mobiles are runs with the background of Android Operating System. 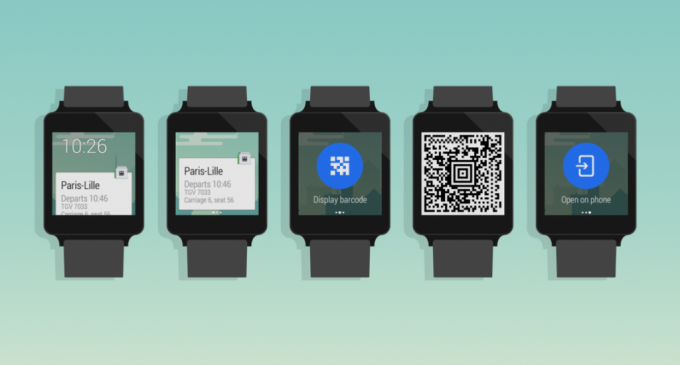 You can use these smart watches efficiently by best apps, in that list the Capitaine Train’s App will allow you to acquire the most efficient ticket booking experience in Europe especially for the Android smart watches. Now your mind will ask how it works and more questions? So read the below content it will help you to know more. Now you can book the tickets in seconds by register your personnel info and your family member details and select your favorite destinations instantly and get the upcoming and previous information about the train and book your tickets and get the e-tickets in the PDF or store it with your locality card and show it whenever ticket inspector ask you to show your tickets. The app will always remind you by notifications before 20 minutes before departure. You can get these tickets without any fees and book your train tickets with best prices by knowing the offers of your train departments and get the discounts too. Never need to invade towards your booking centre to cancel tickets because your app will allow you to do the exchange or cancel facilities to you. So you can avoid the fumbling situations while booking train tickets and book your tickets easily by voice itself from your smart watch. To install this app your smart watch takes 3.9m space and need android 4.0 and higher versions of the android operating system. So experience the best train ticket booking via best train ticket booking engine Capitaine Train’s App.